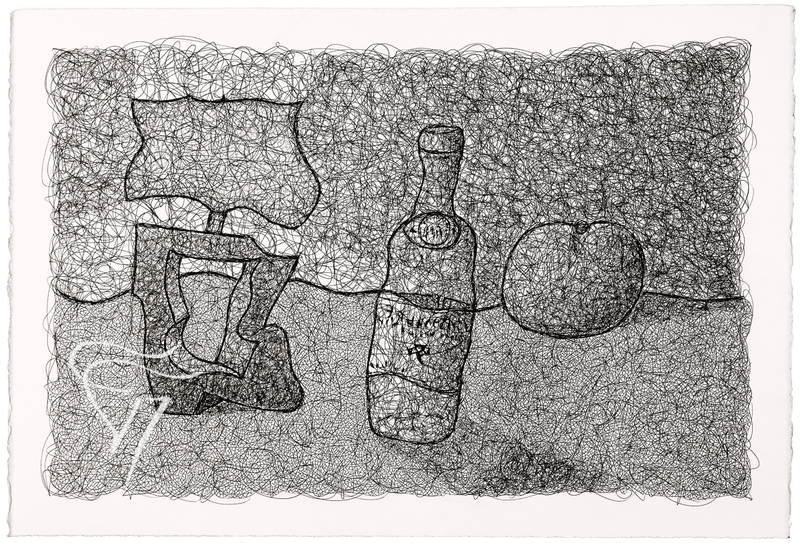 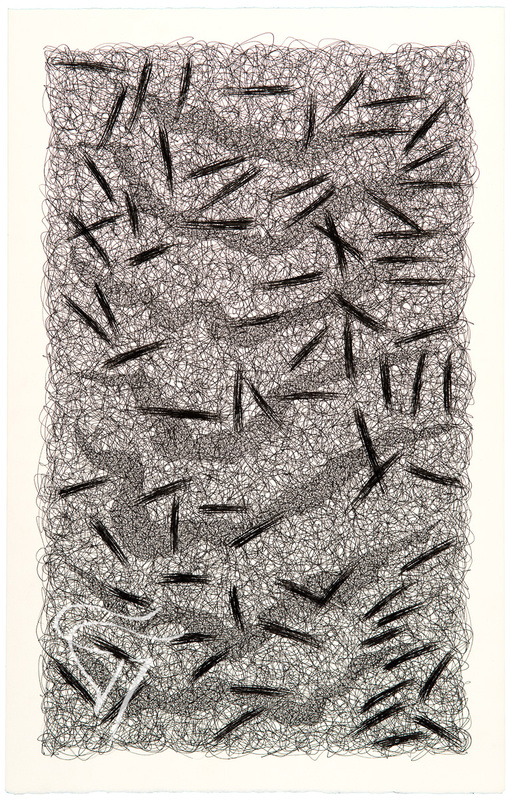 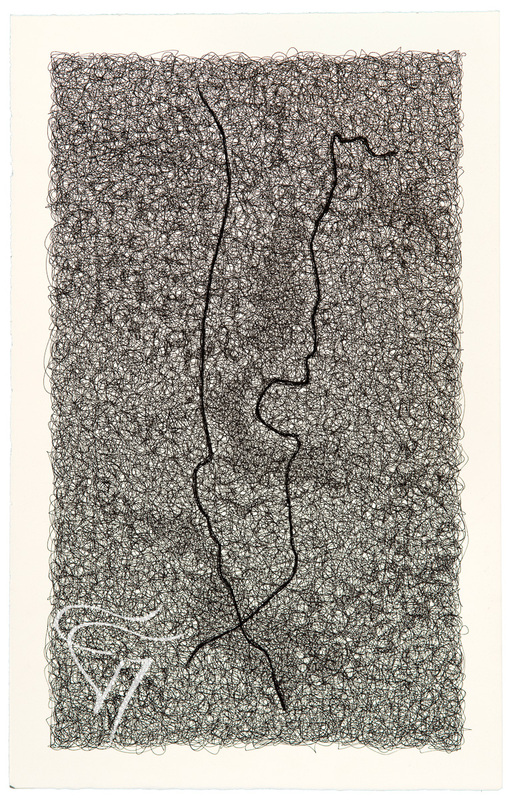 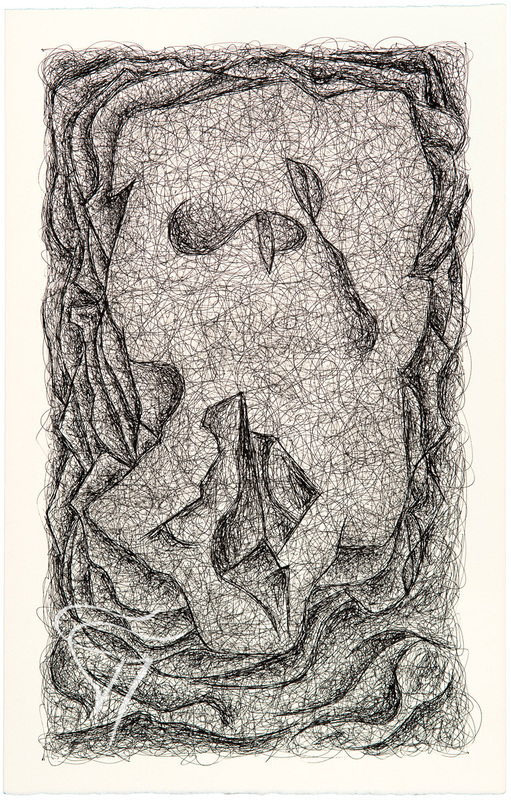 Recent Works A Collection of Works on Paper Drawn with Ballpoint Pen August 4th – August 27th, 2016 ANDRE ZARRE GALLERY 529 West 20th St. New York, NY 10011 1+ 212.255.0202 || Out of a life immersed in art, literature and music, Stephen T. Vessels’ ink drawings reach for the unattainable with an implement beyond its intended grasp. 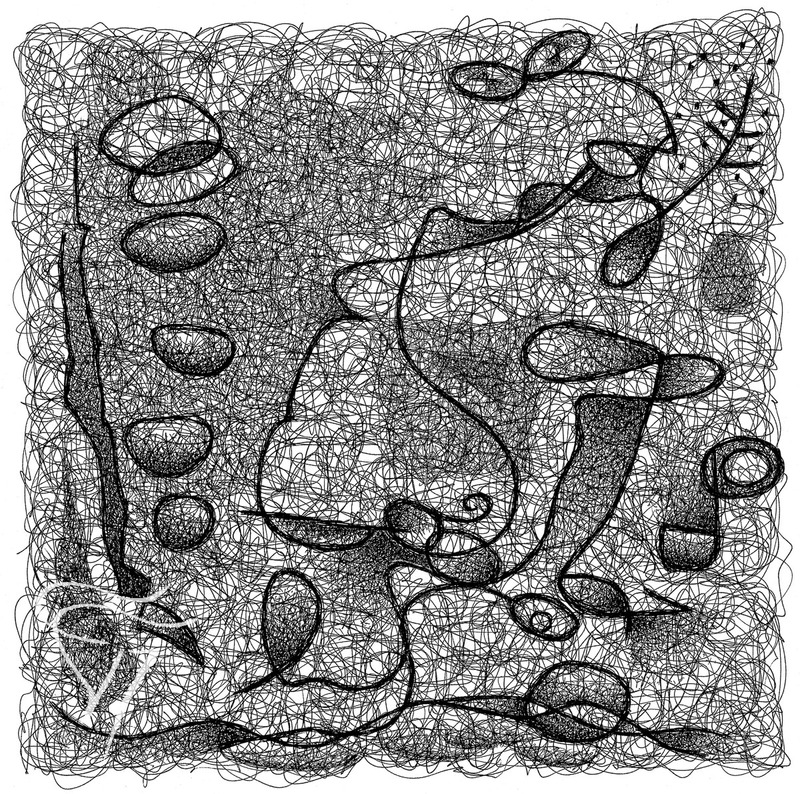 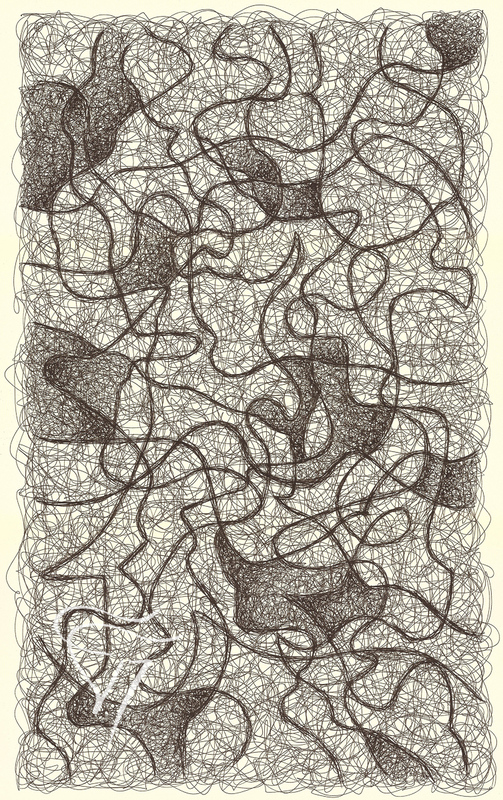 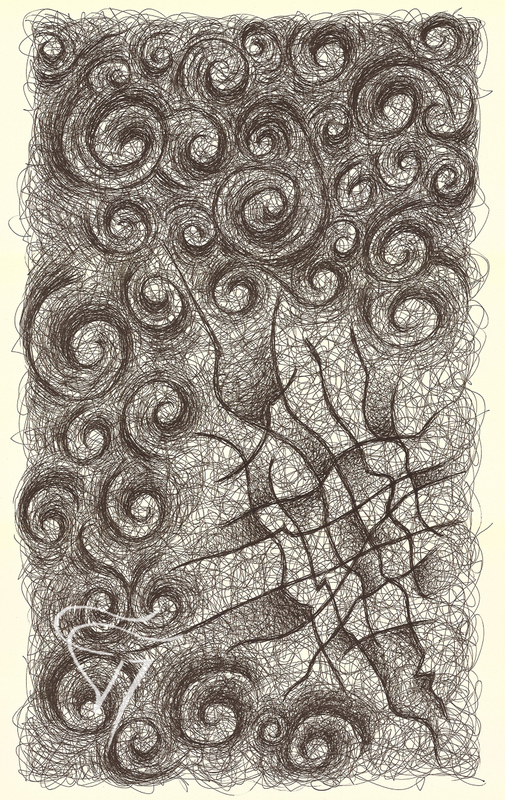 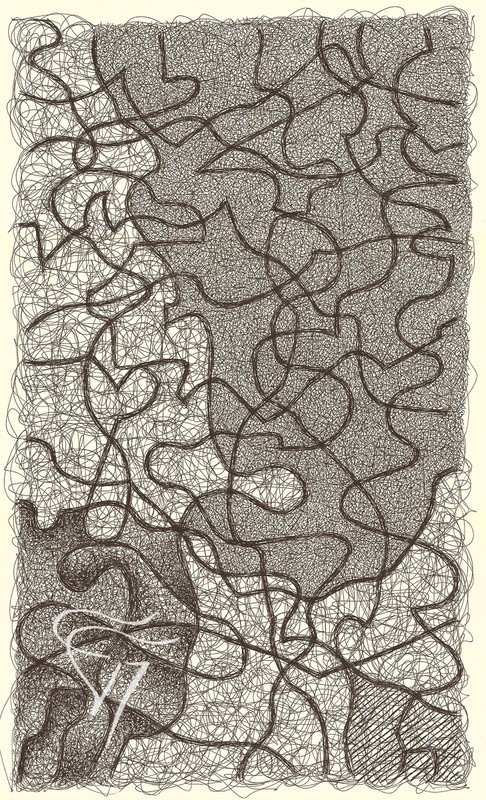 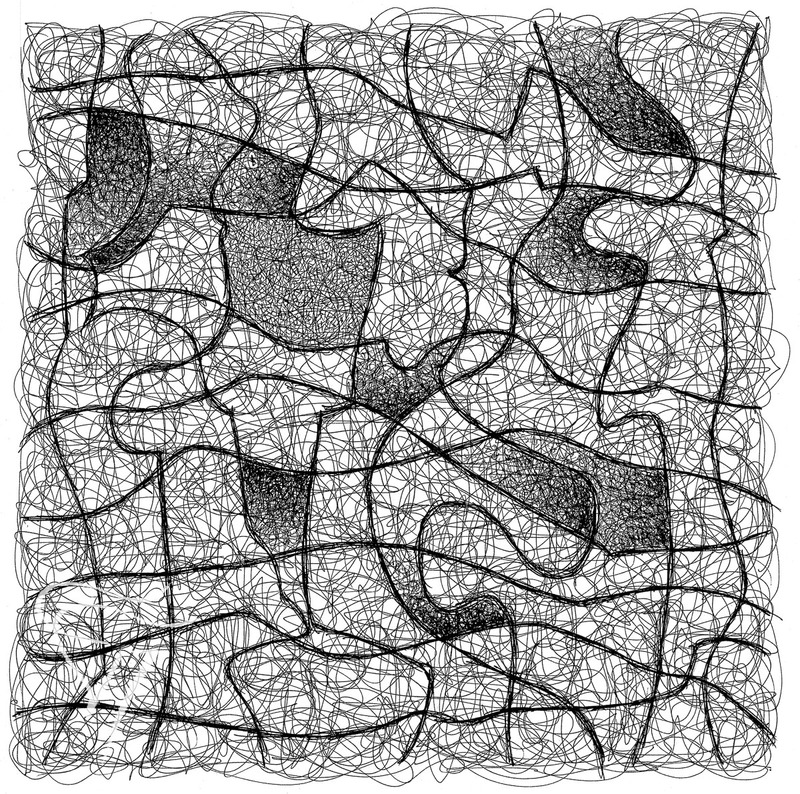 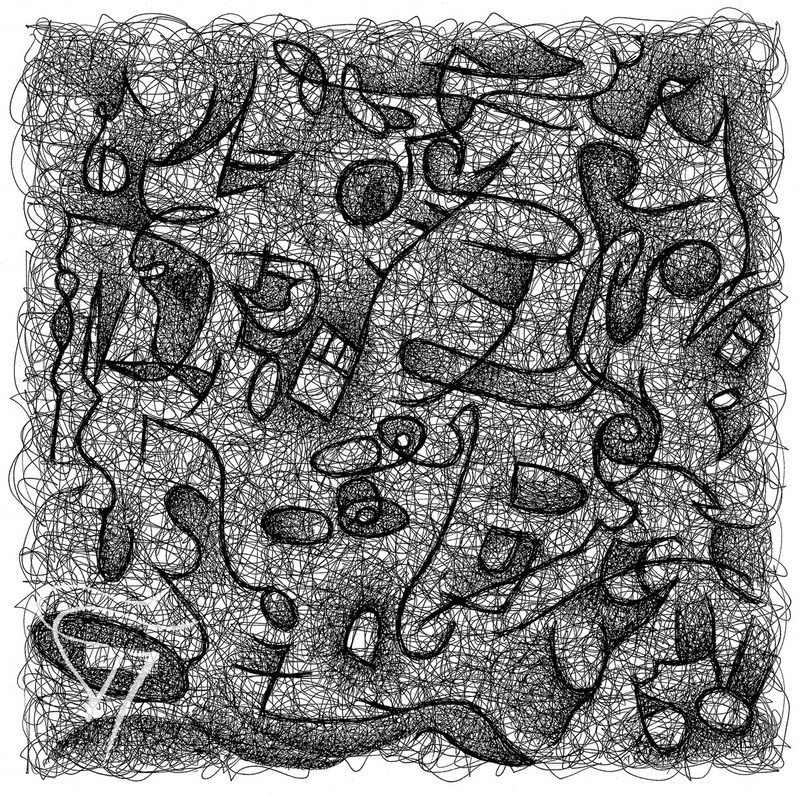 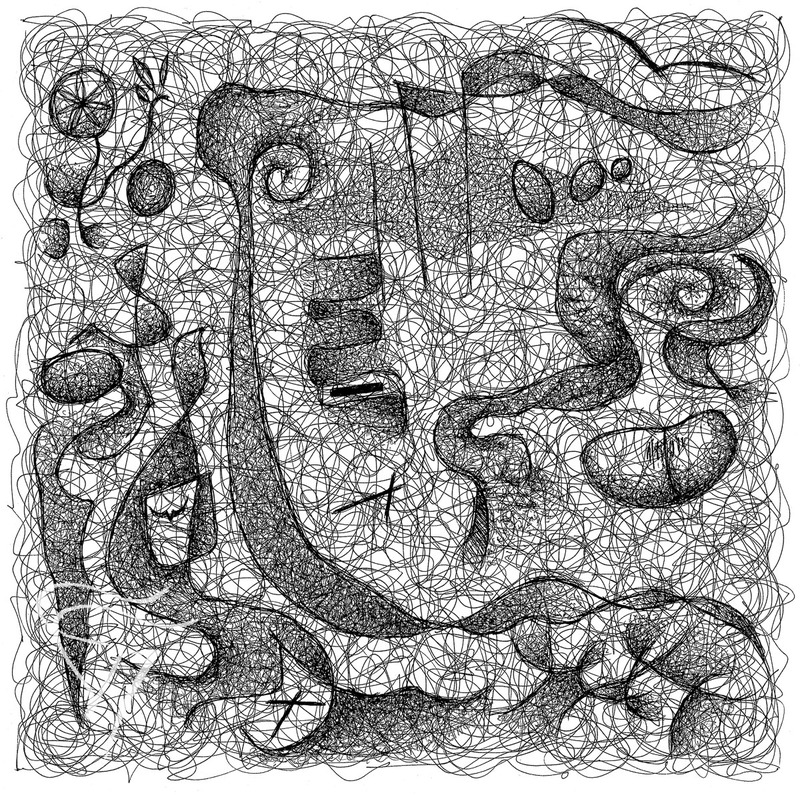 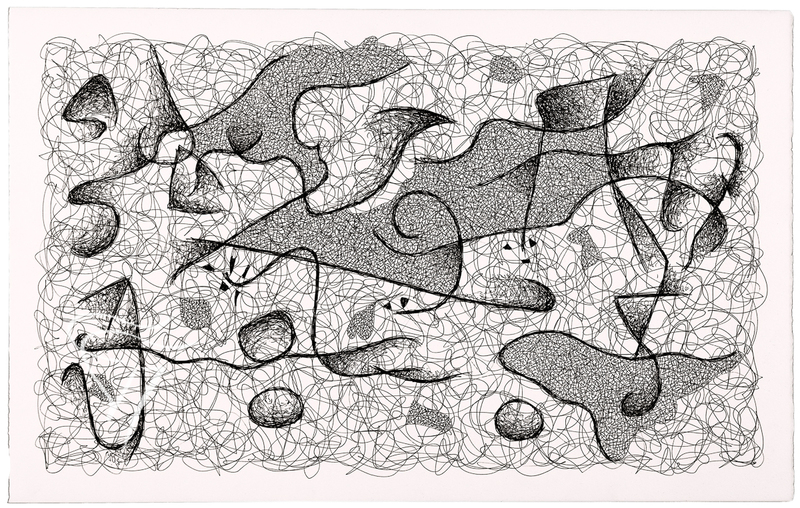 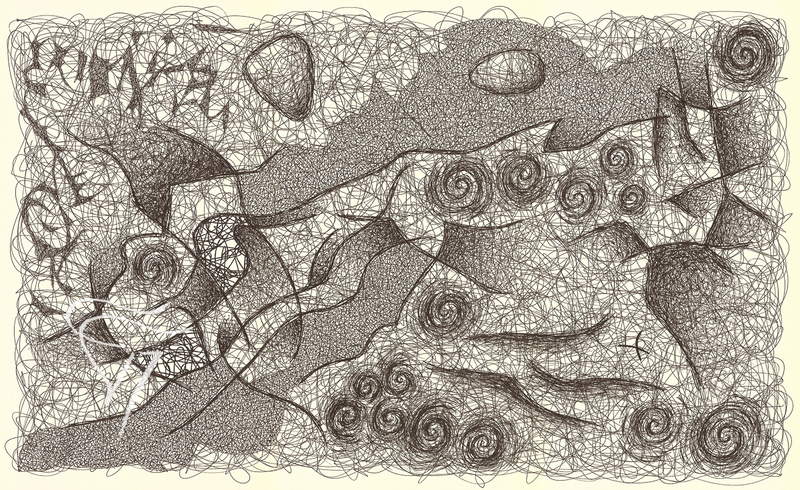 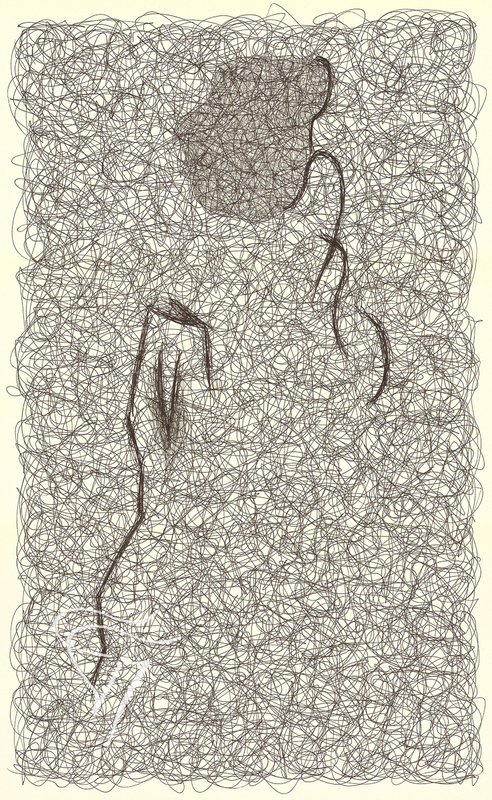 Both random and specific, the drawings evoke a voyage of consciousness across a sea of scribbles. 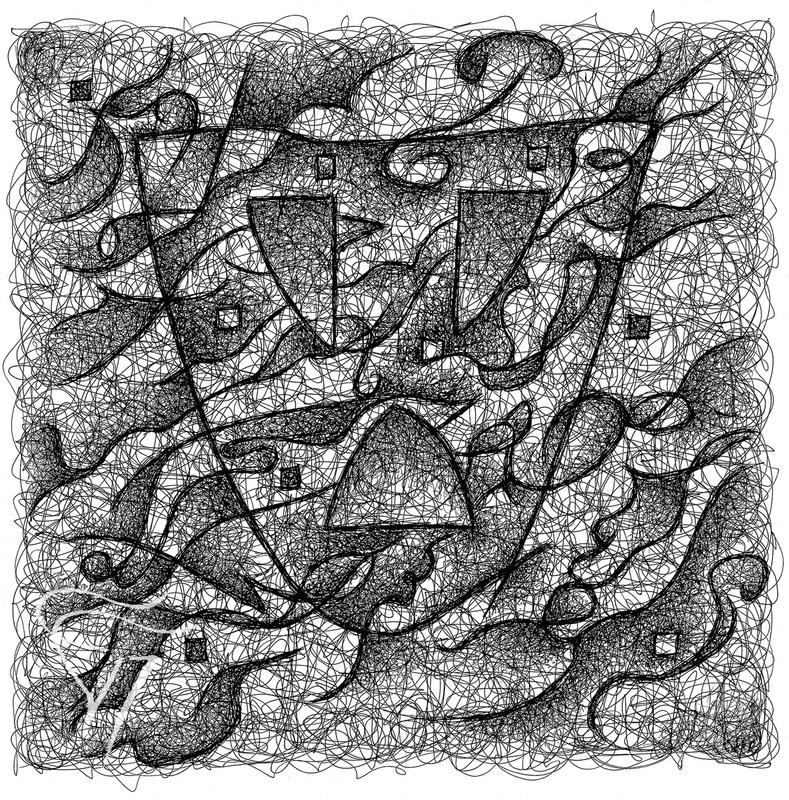 They leave meaning and the written world behind to communicate a personal, amorphous language untethered from definitions. 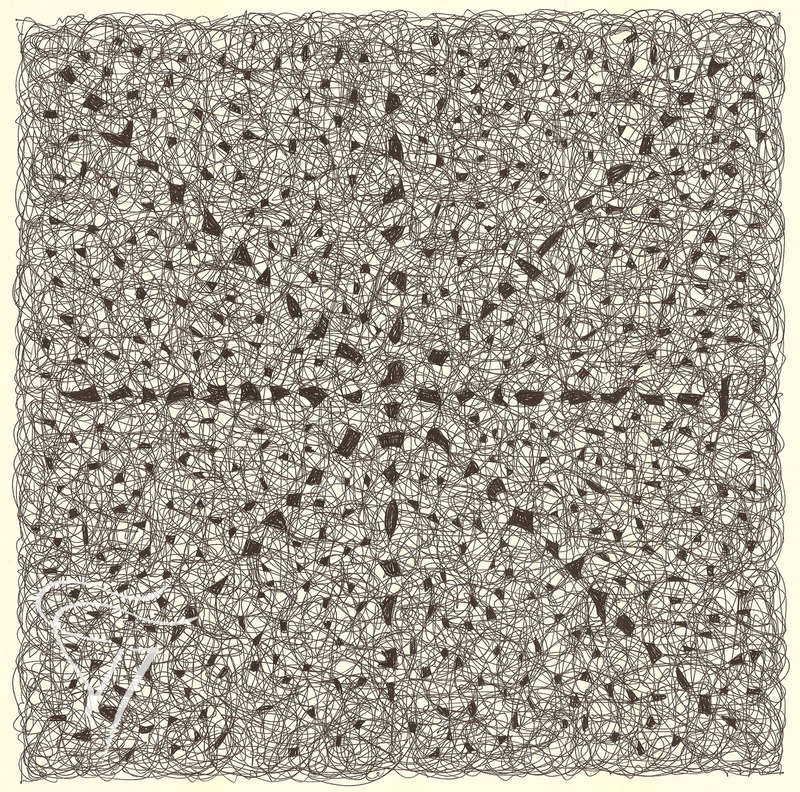 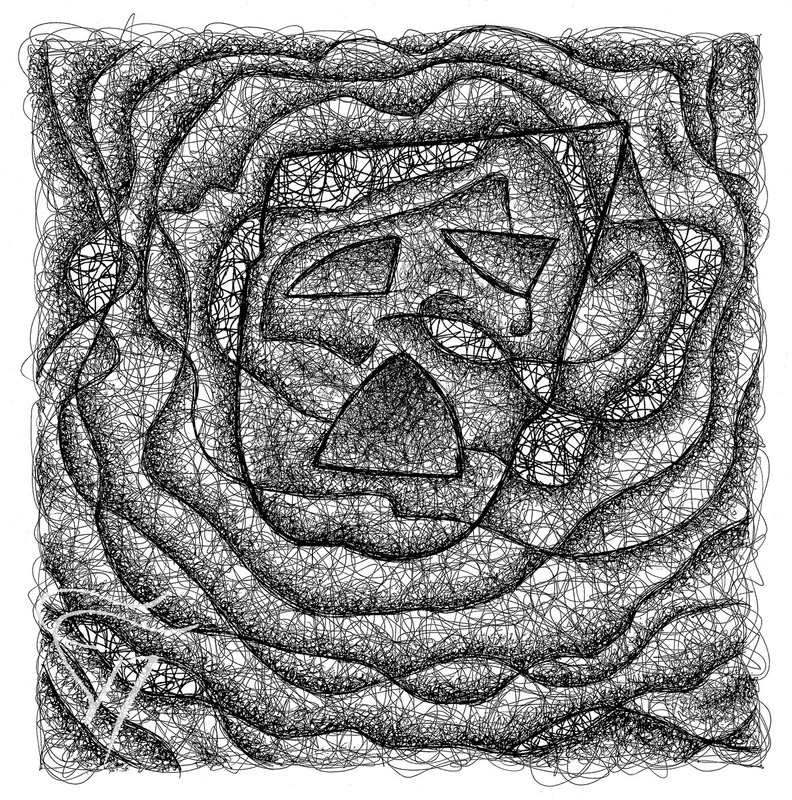 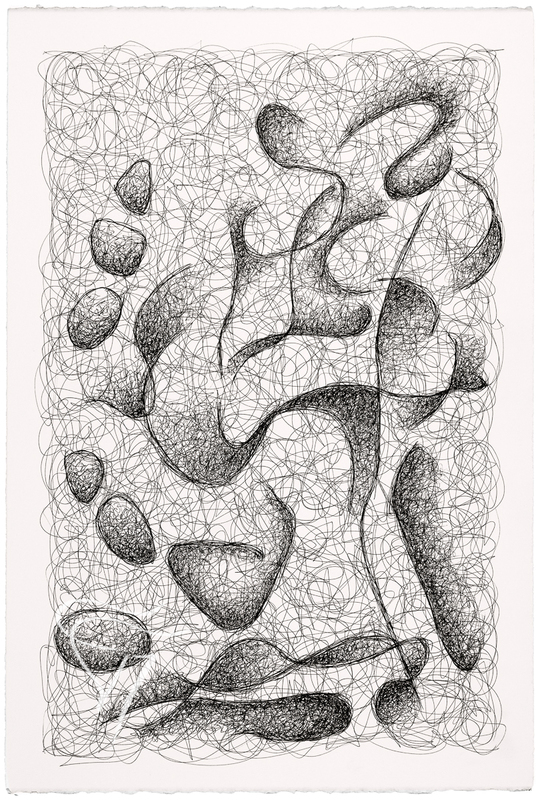 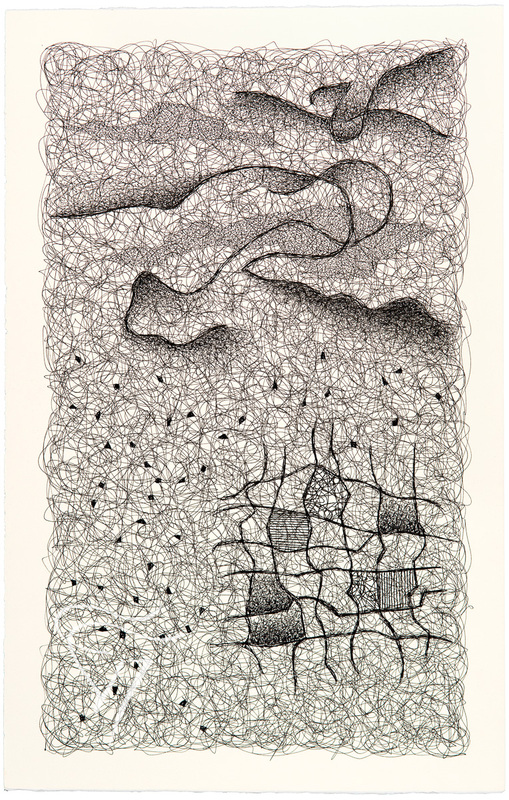 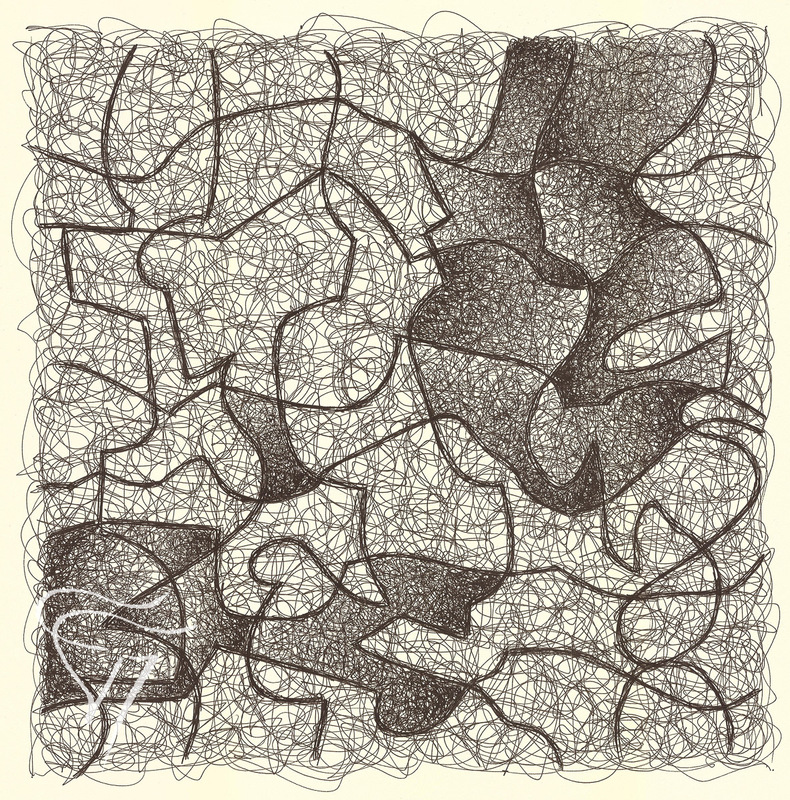 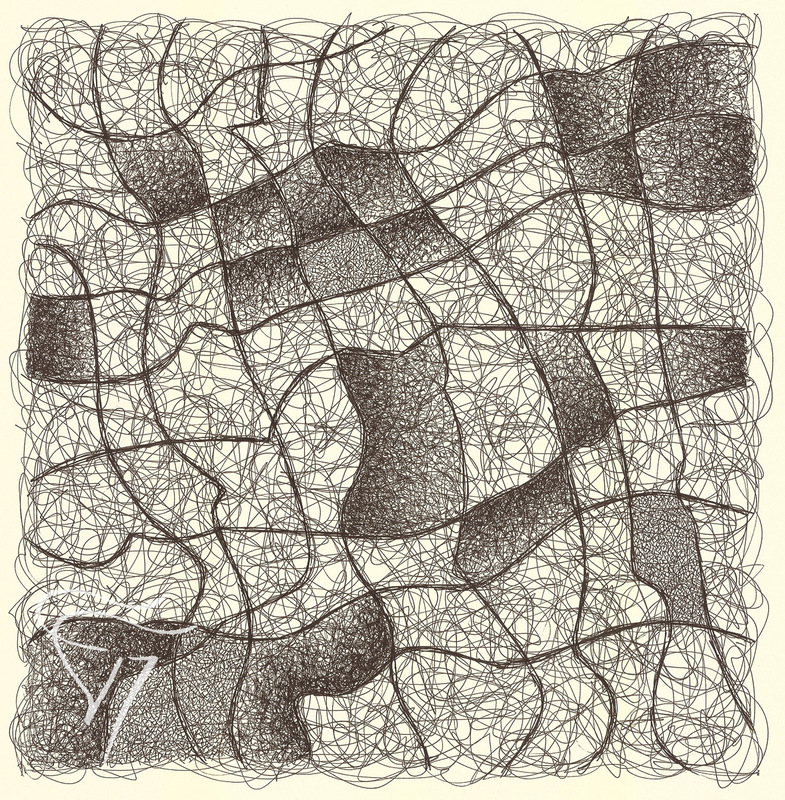 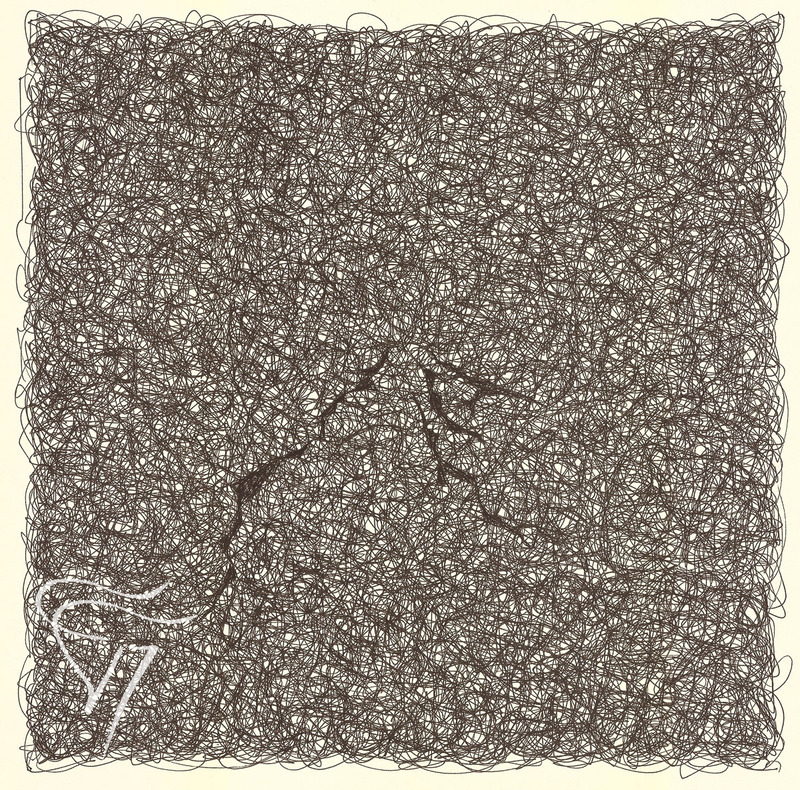 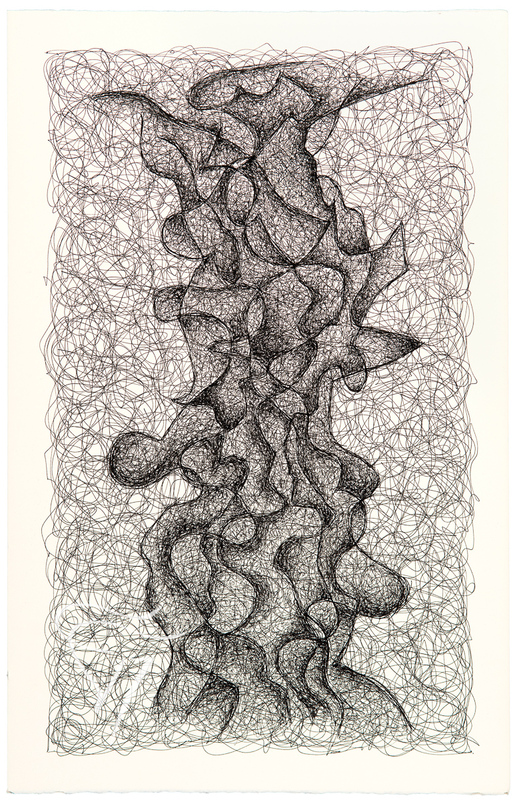 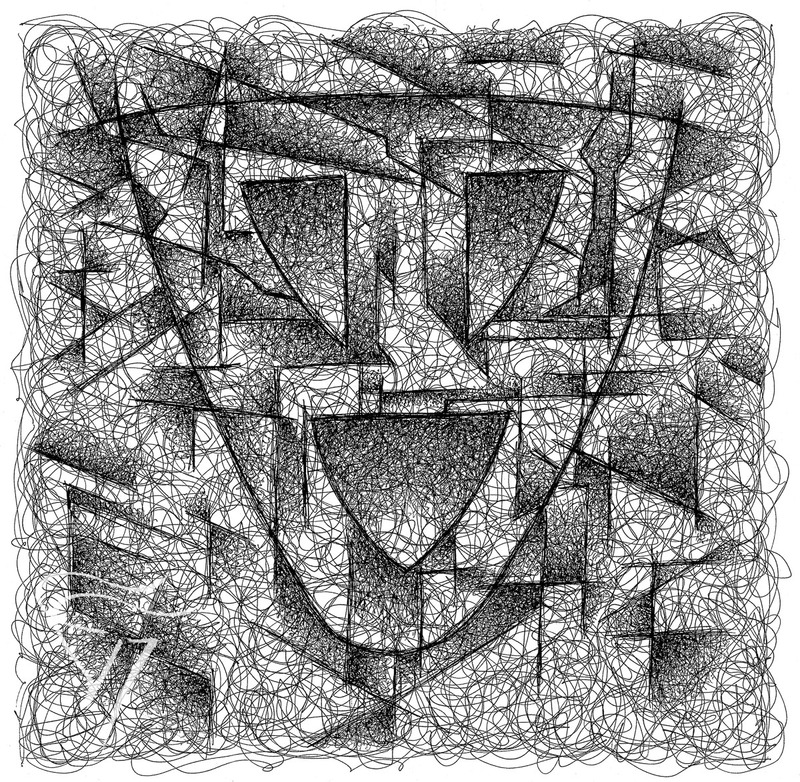 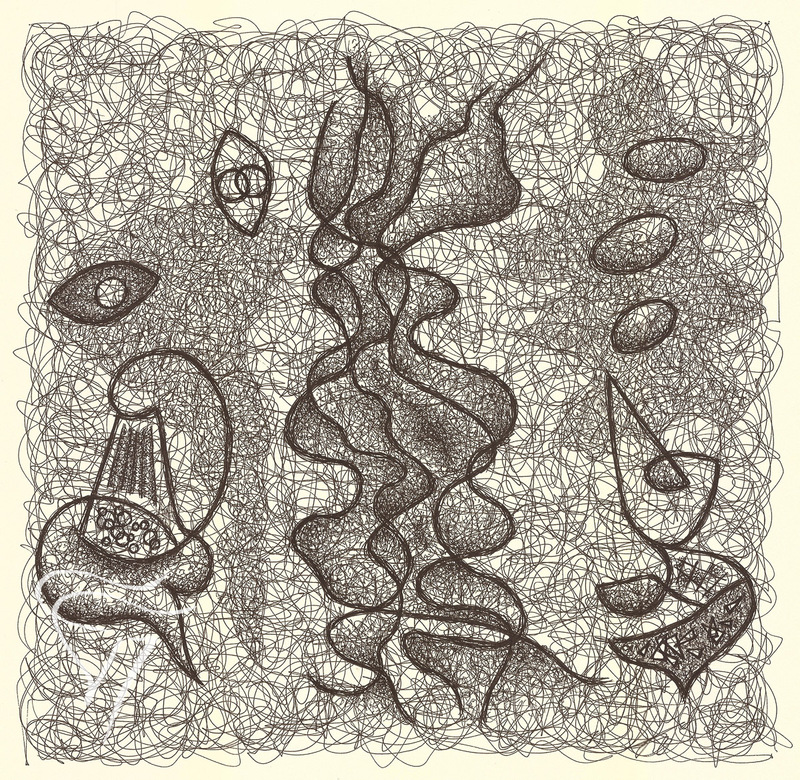 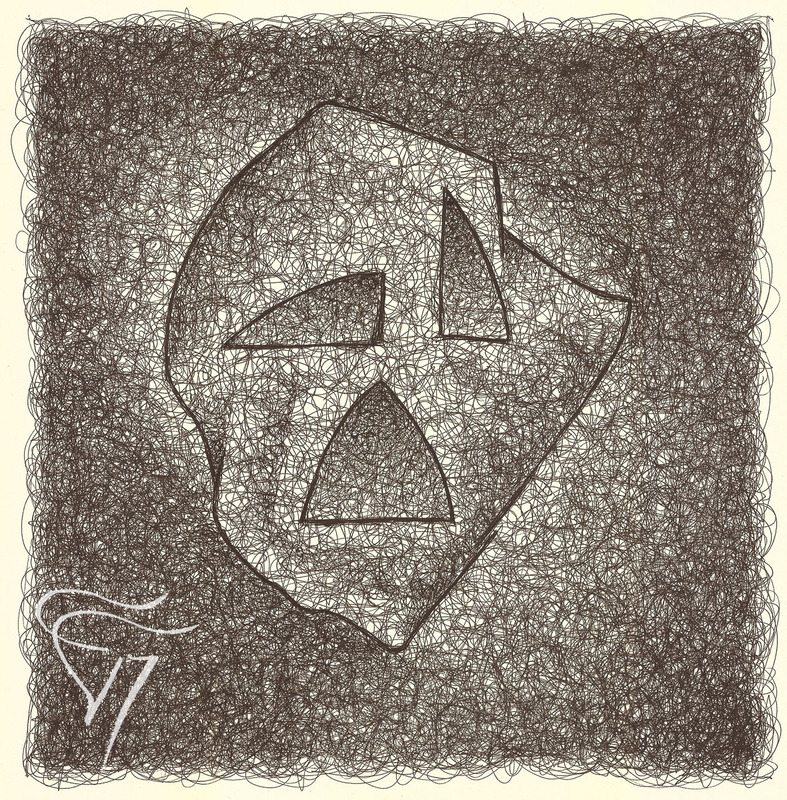 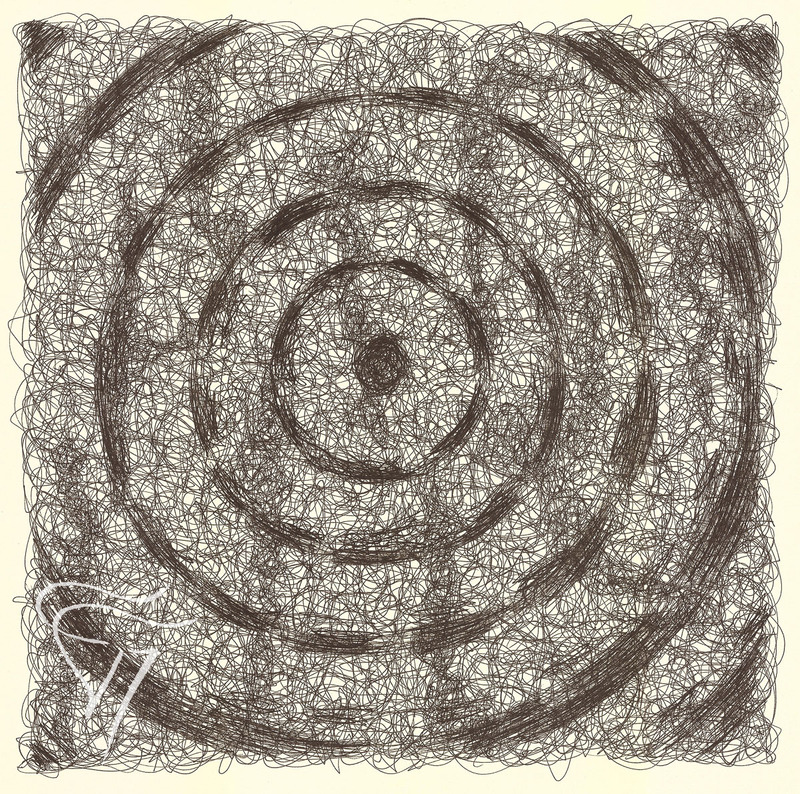 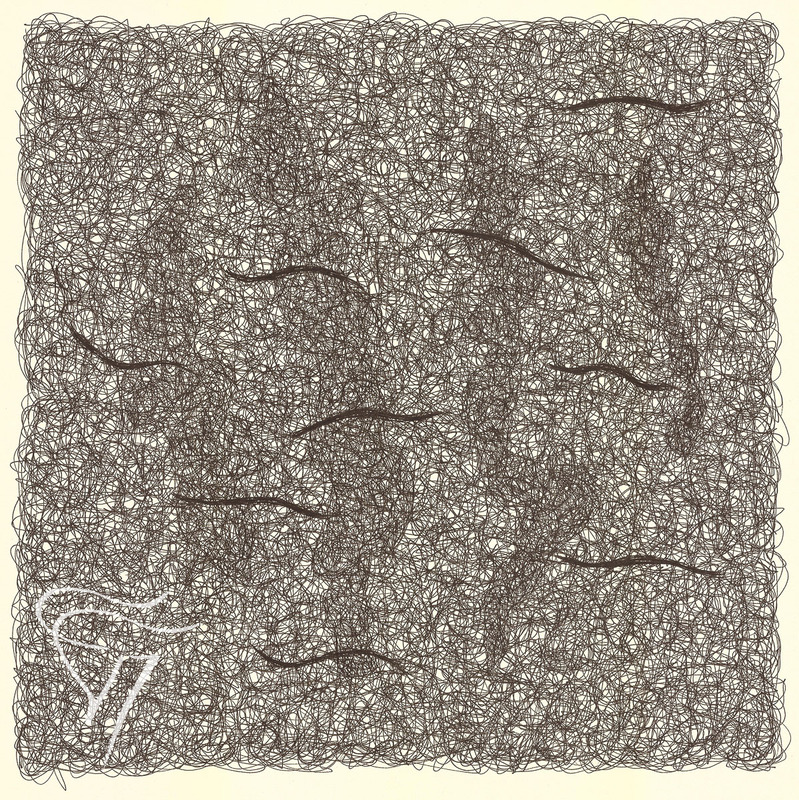 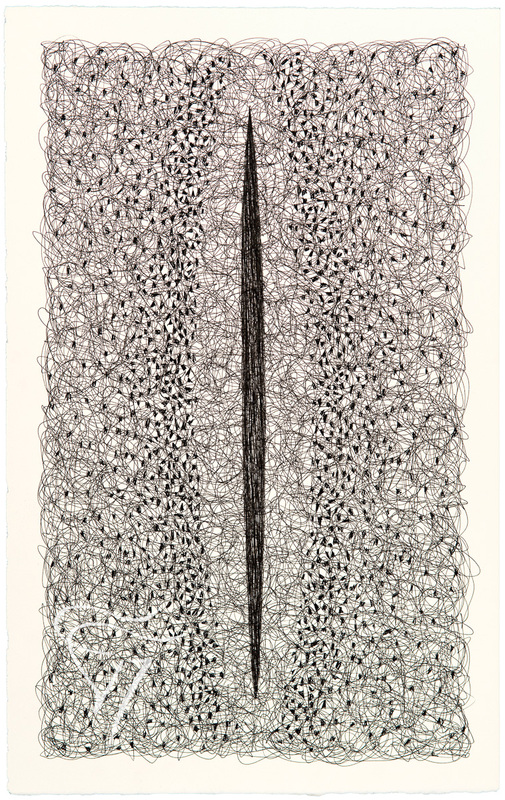 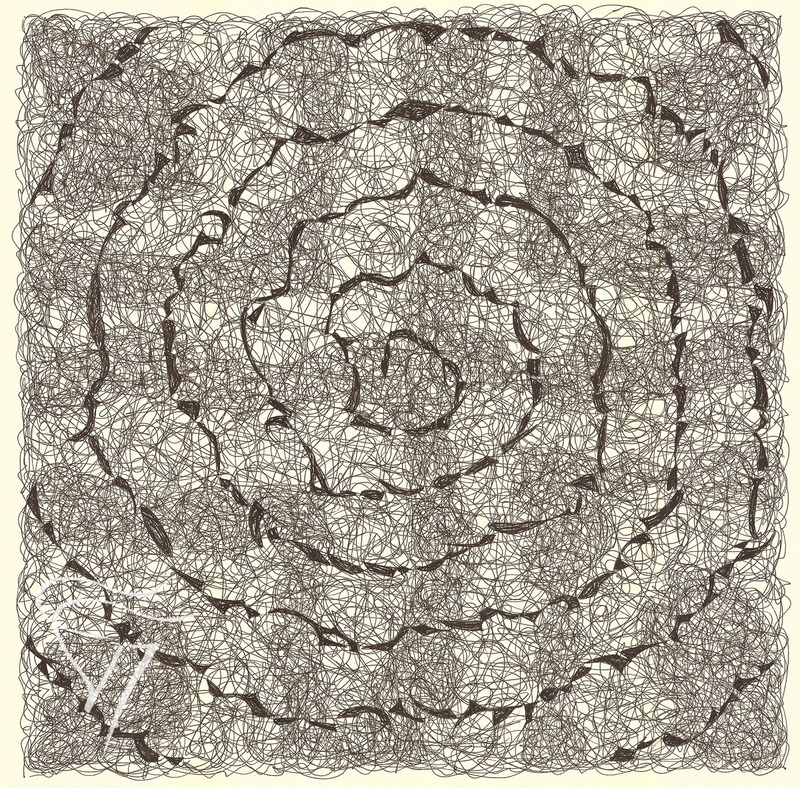 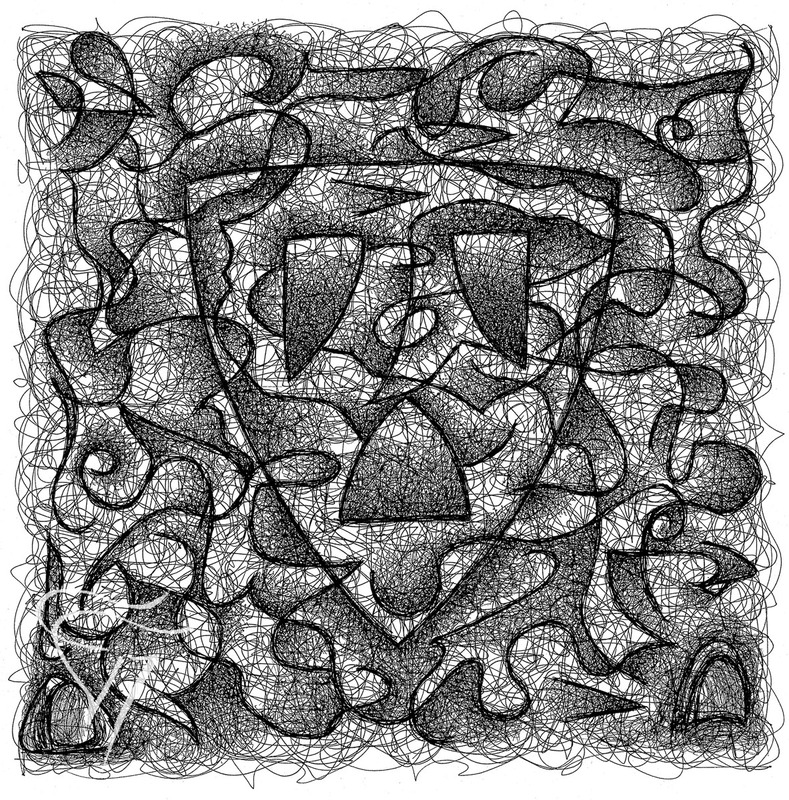 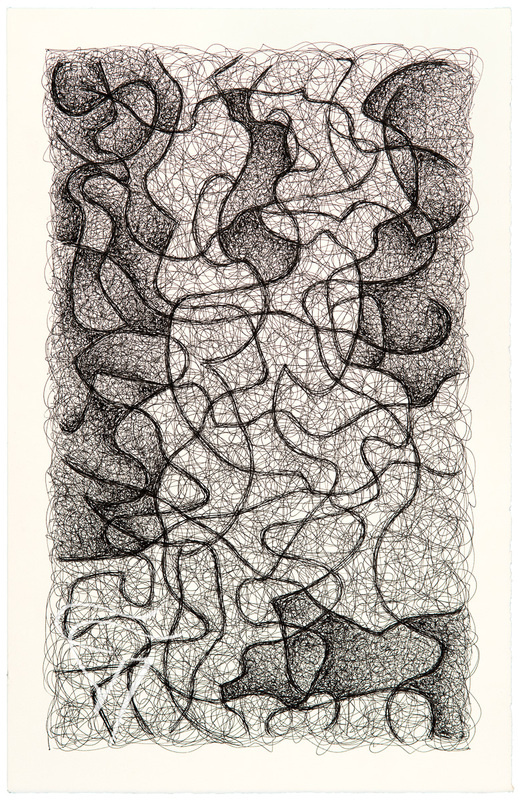 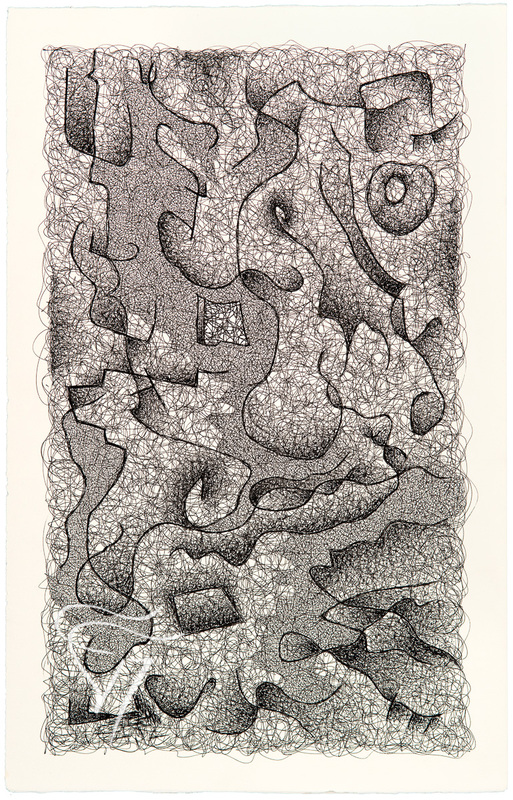 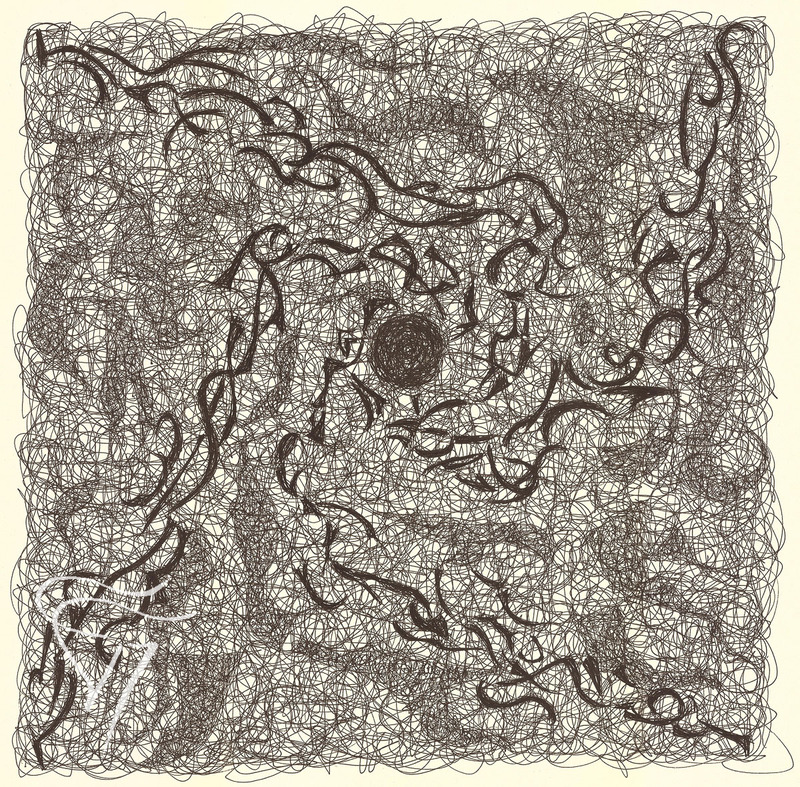 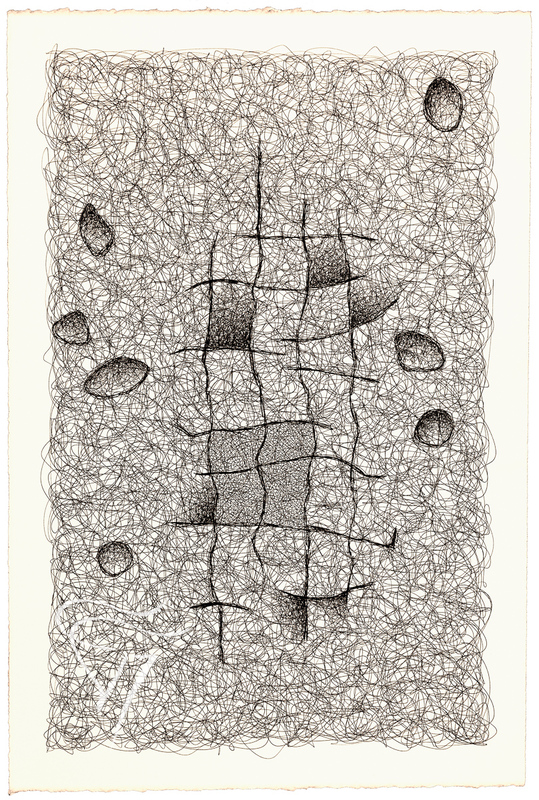 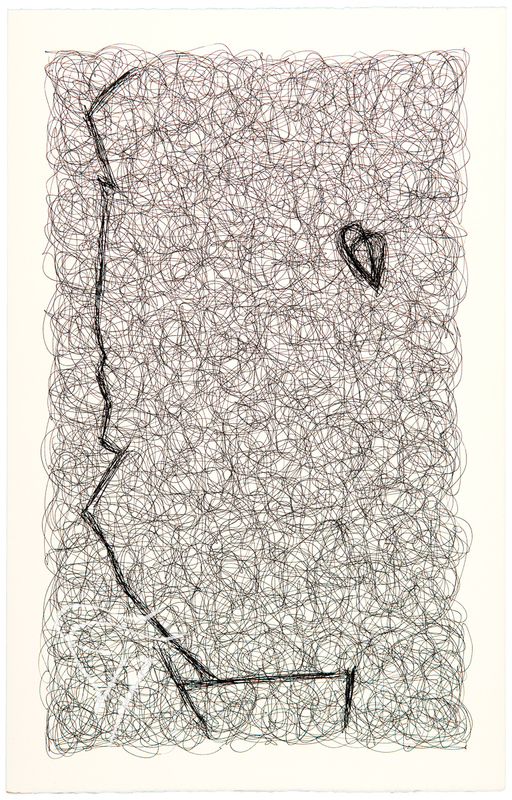 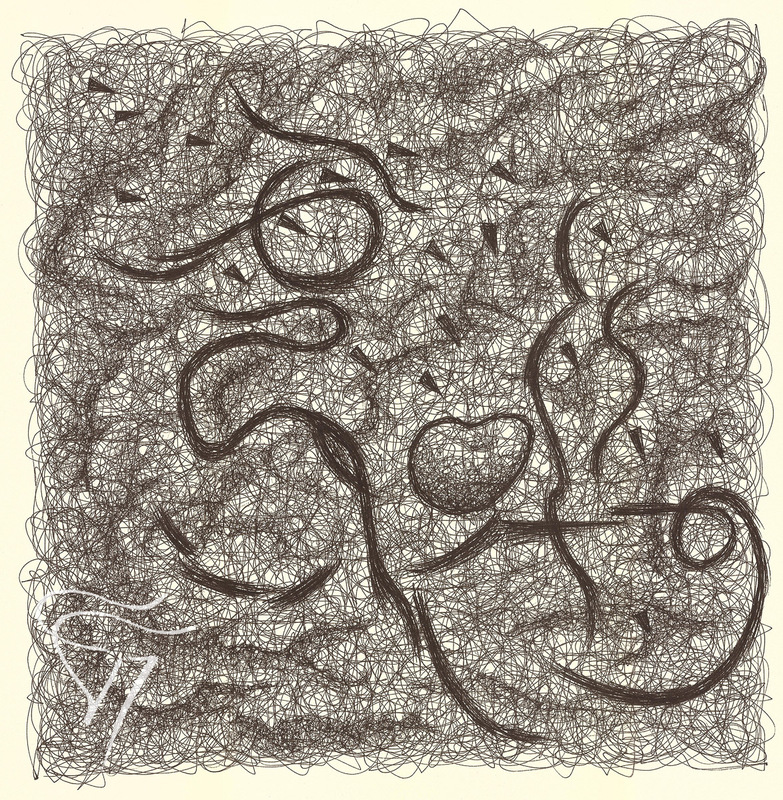 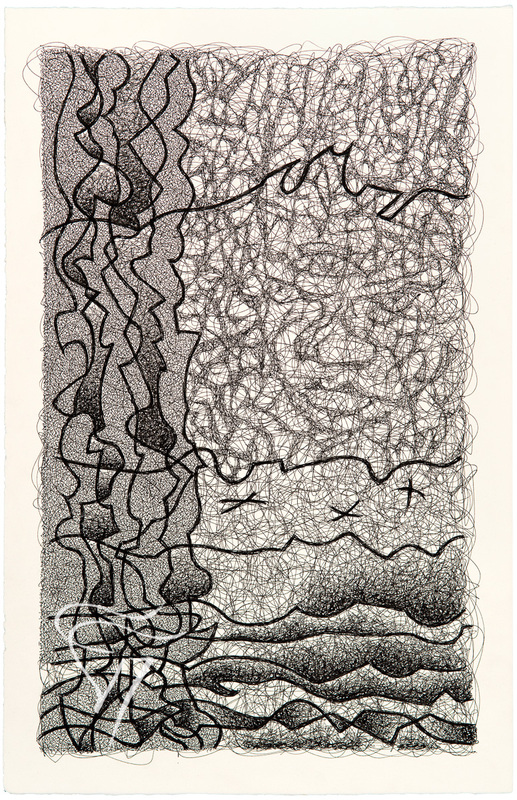 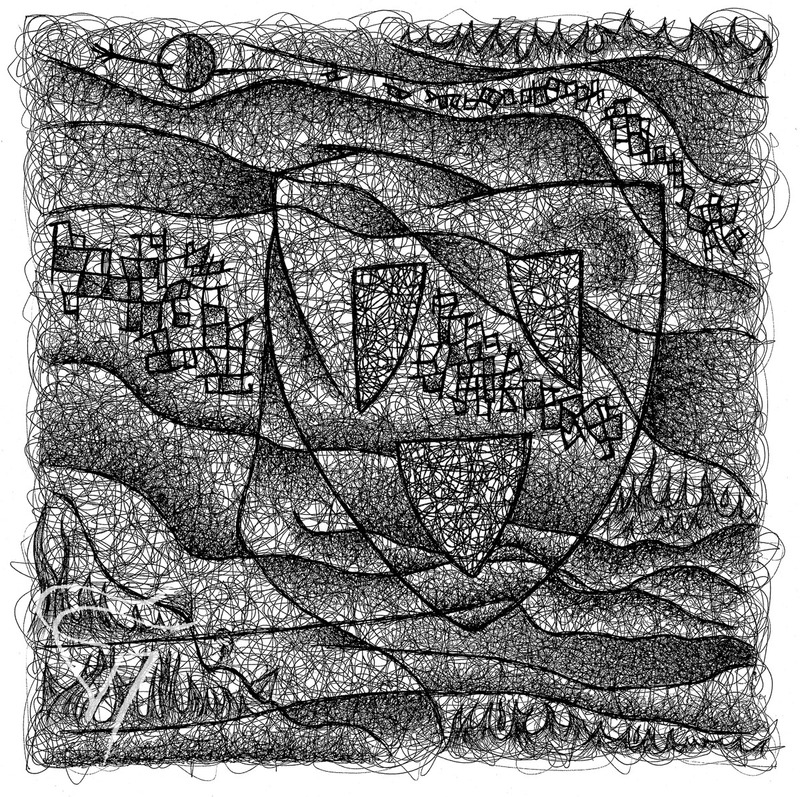 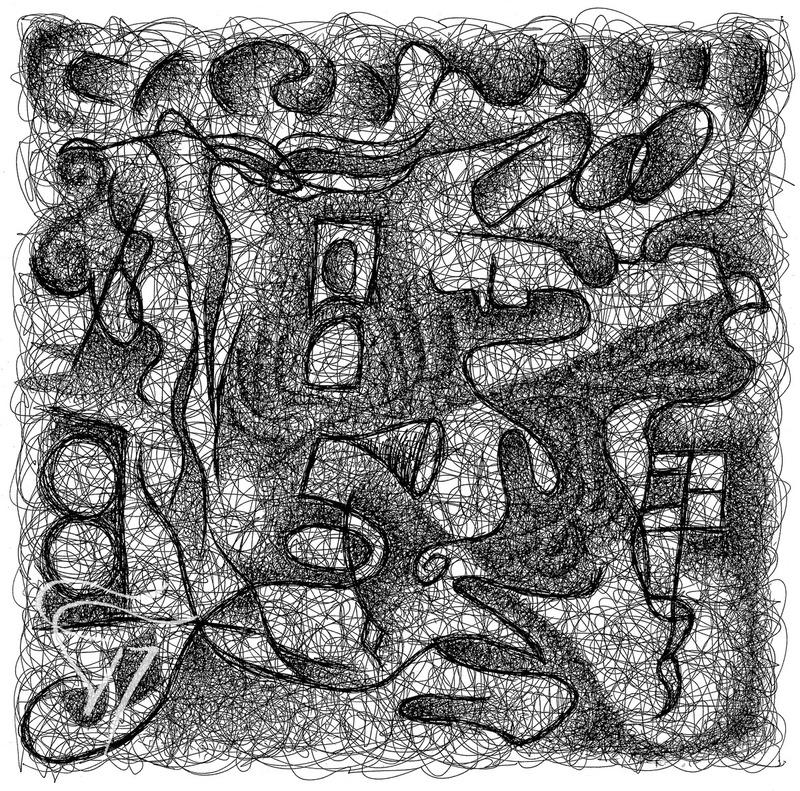 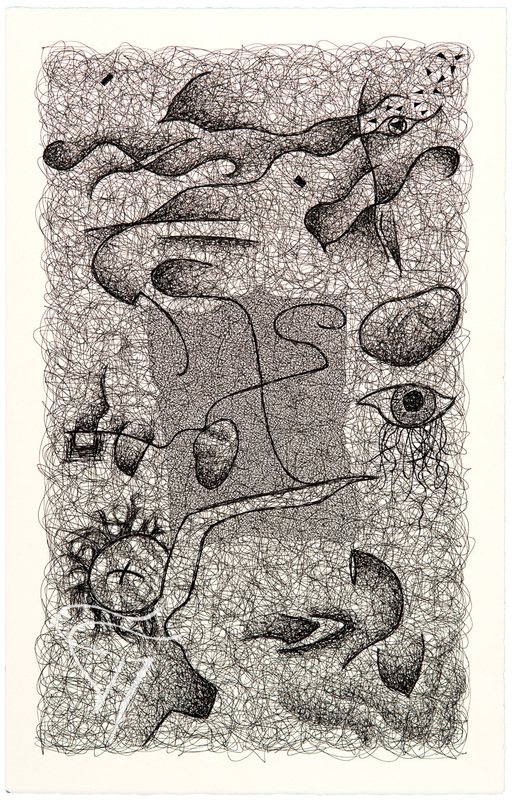 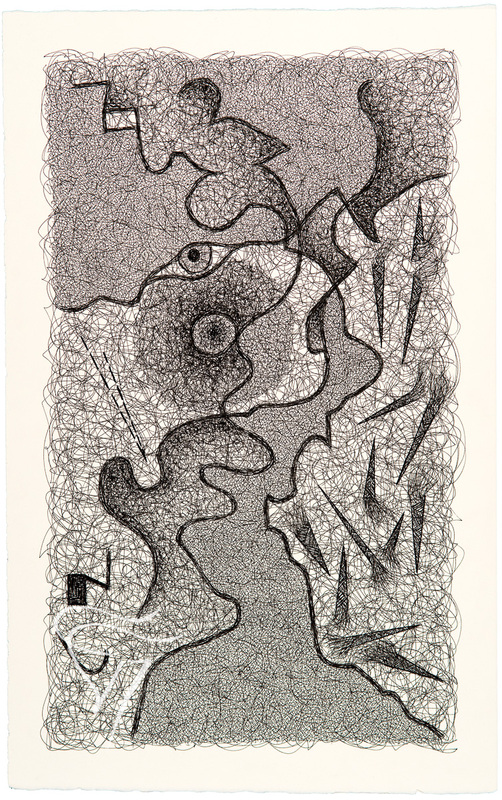 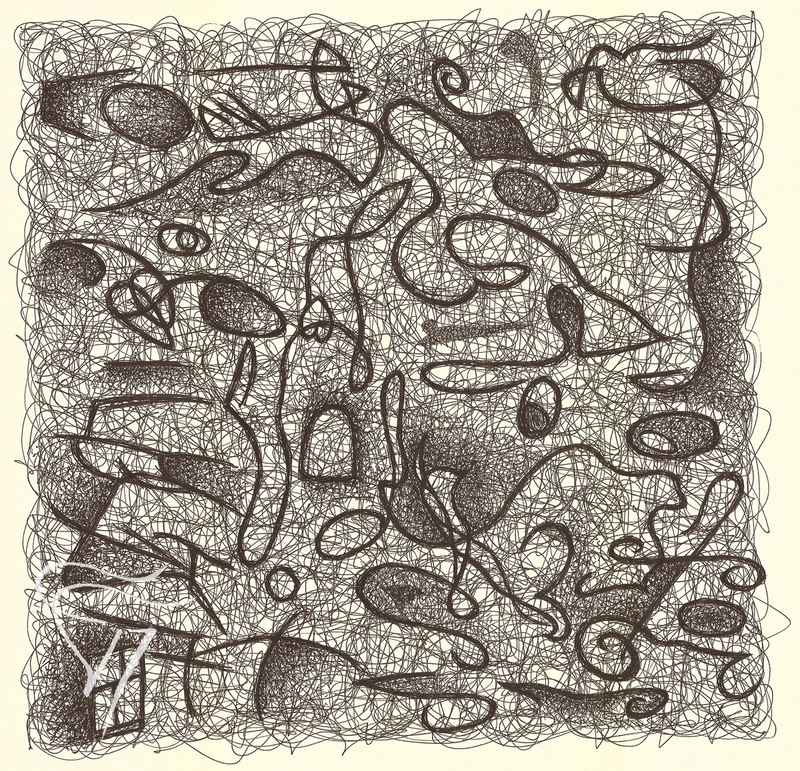 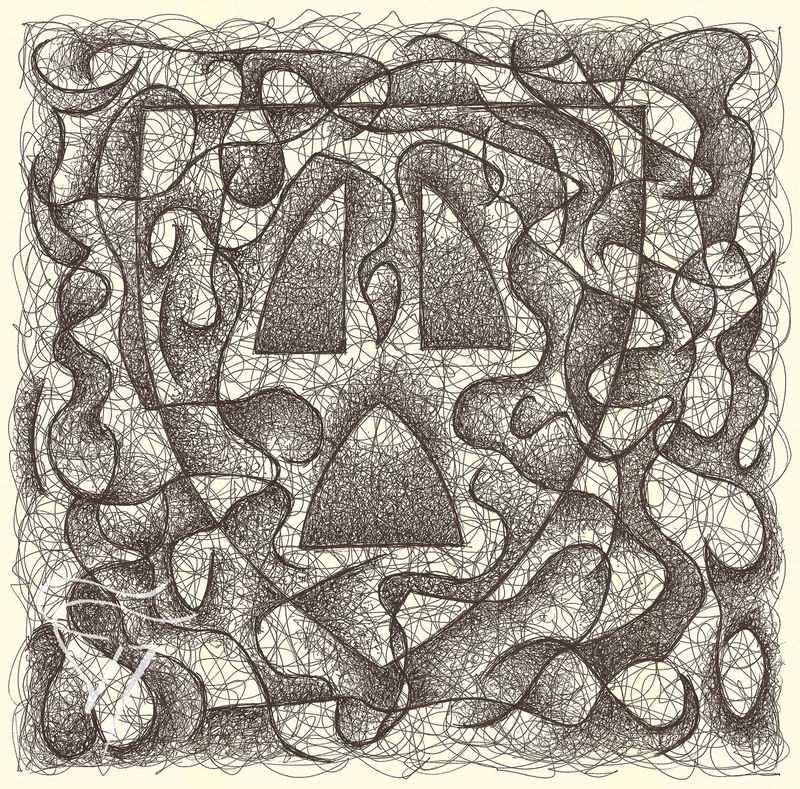 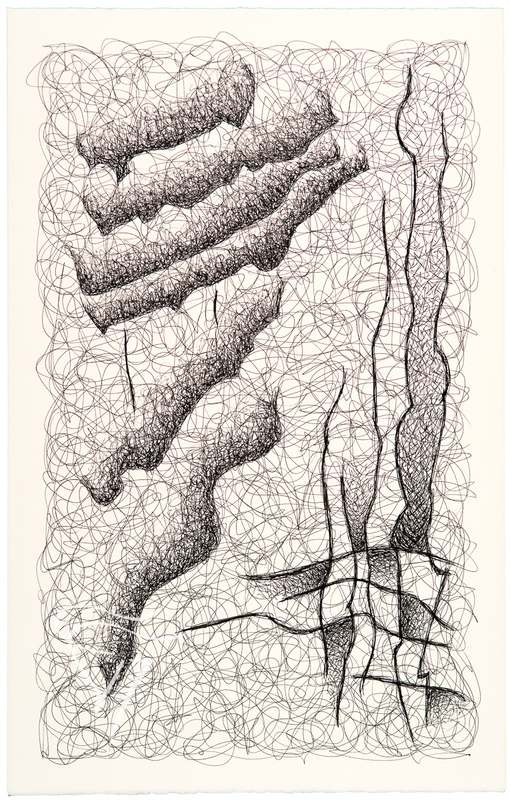 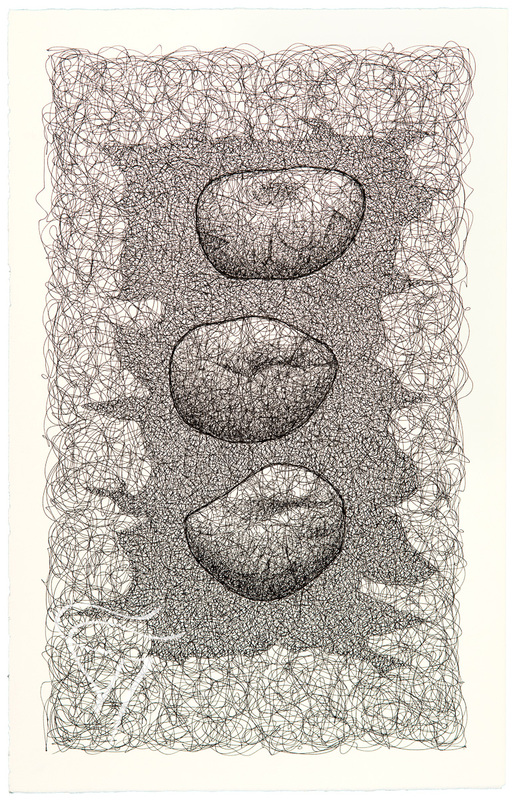 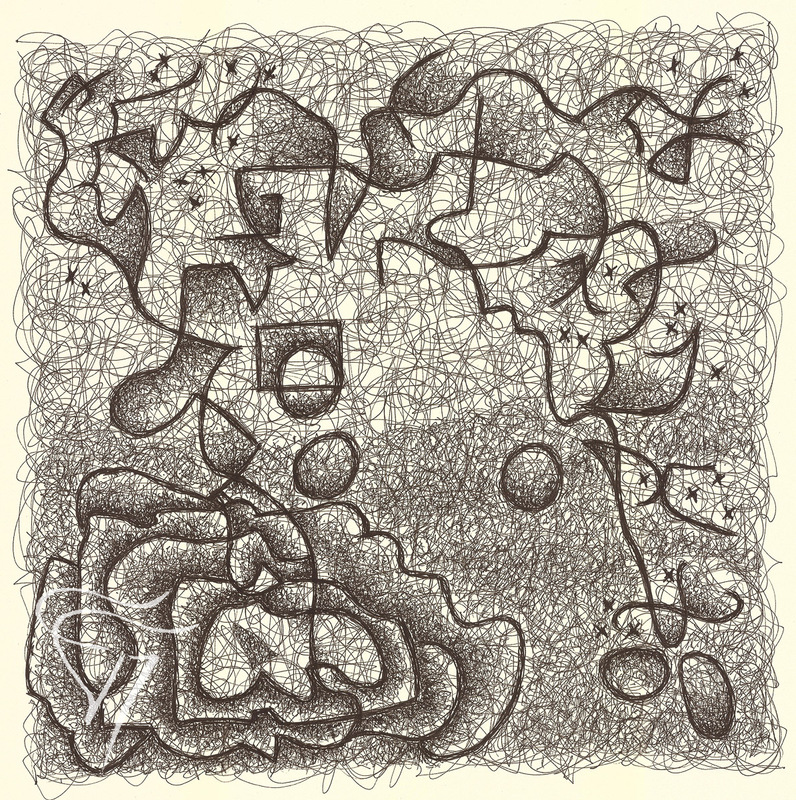 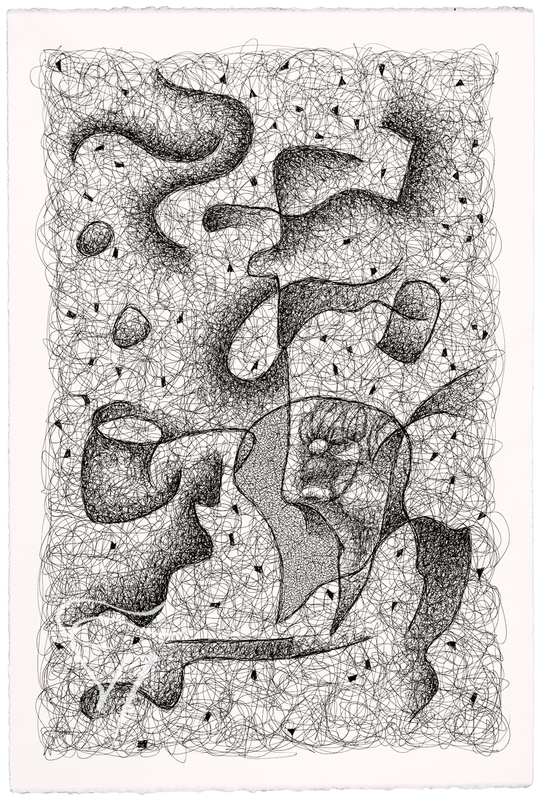 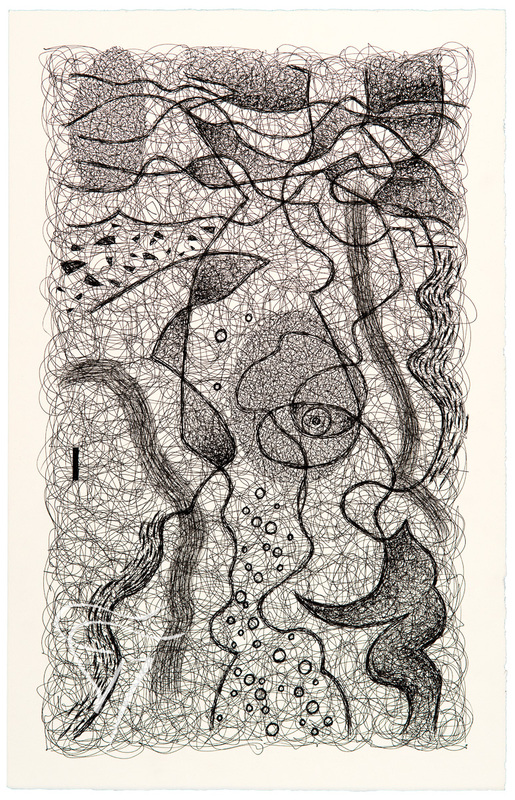 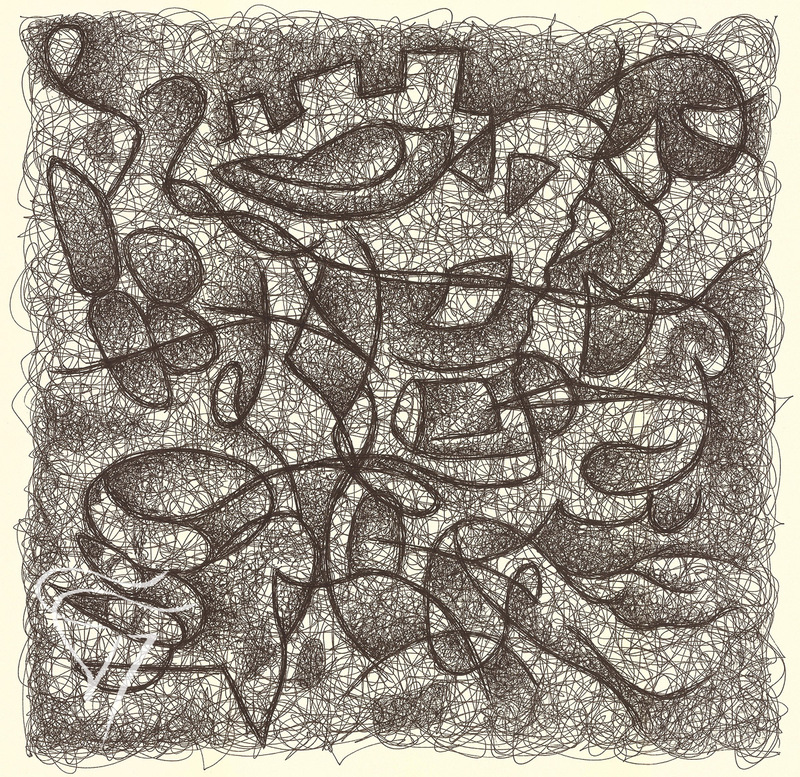 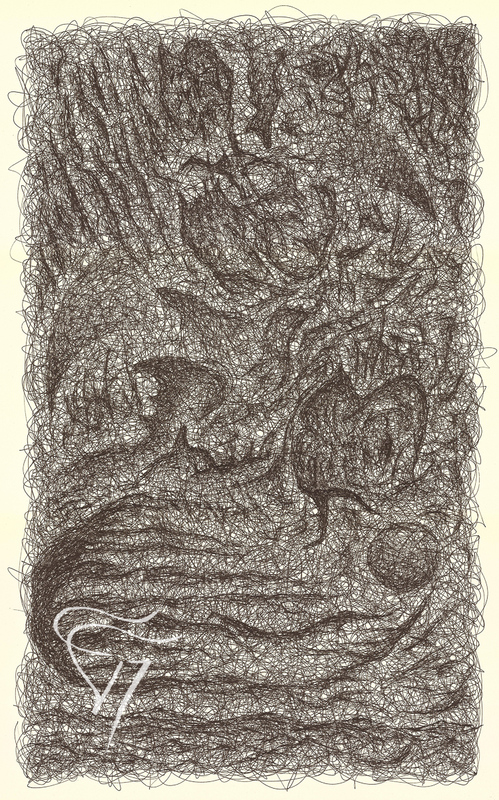 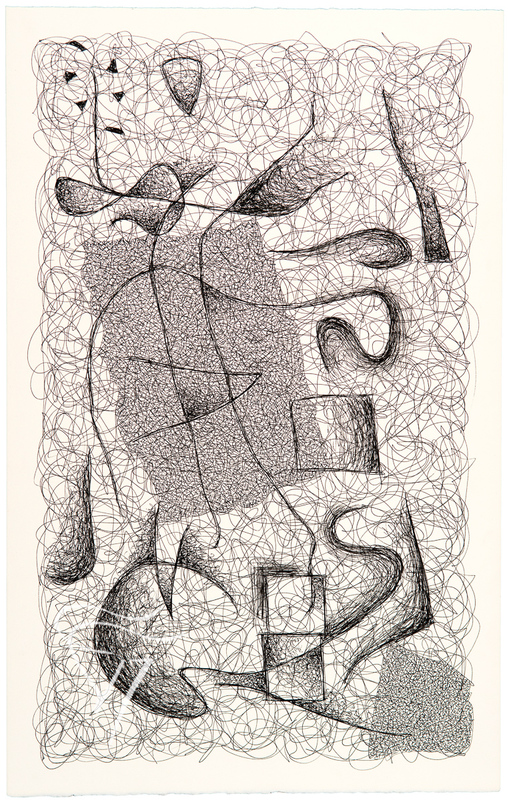 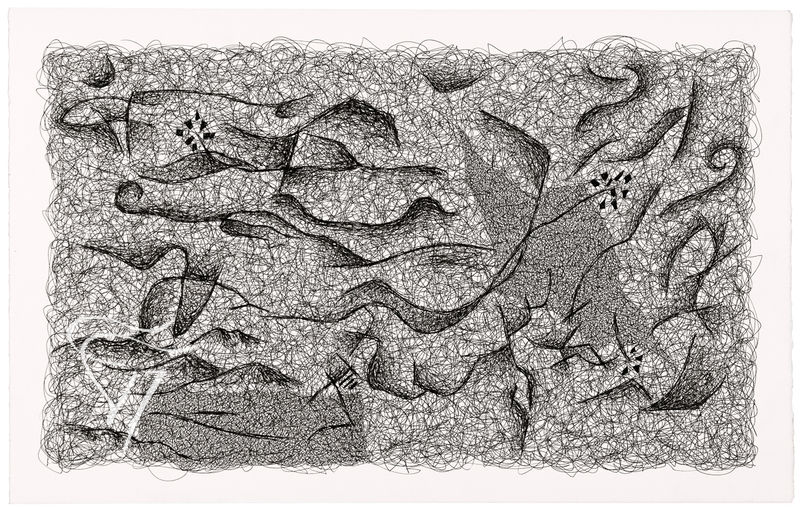 Rendered with the same pen he writes with, after a long period disconnected from his own art, this is Vessels’ first exhibit in over twenty years.